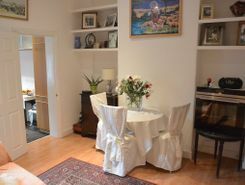 Arranged on the first floor this charming one bedroom apartment offers plenty of living space with a bright kitchen/reception room, contemporary bathroom and ample bedroom moments from amenities. 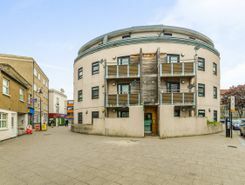 Set on the second floor of a secure building this brilliant two bedroom apartment is finished to a good contemporary standard, offering spacious and bright open-plan living and a private balcony. TheHouseShop have been helping people to save money when buying, selling, renting and letting property in Tottenham in Greater London thanks to their unique property marketplace and expert knowledge of the Tottenham in Greater London property market. Property marketplace, TheHouseShop.com, showcases property listings from private landlords, private sellers, high street agents, online agents and developers – meaning that tenants and buyers can find a unique selection of property from both professionals and homeowners. Homeowners can use TheHouseShop.com to compare the best High Street and online estate agents in Tottenham in Greater London, or advertise their property privately. Homeowners in Tottenham in Greater London can use TheHouseShop.com to advertise their property to thousands of buyers for free – saving thousands of pounds in the process. Private house sales have become popular in Tottenham in Greater London in recent years, as large numbers of homeowners decide to sell their property privately online. Property prices in Tottenham in Greater London can vary significantly and pricing your property correctly can be difficult – that's why TheHouseShop offer free professional valuations from local property experts to all private sellers using the site. Private landlords and sellers can make use of TheHouseShop's marketing options to generate more exposure for their property and quickly find the right buyer or tenant. Homeowners in Tottenham in Greater London can use TheHouseShop.com to find thousands of potential buyers and tenants and connect with them directly to save both time and money. TheHouseShop are on hand to help private landlords and private sellers in Tottenham in Greater London to advertise their properties. Estate agents in Tottenham in Greater London can also use TheHouseShop to advertise their listings free of charge and reach a new audience of buyers and tenants. 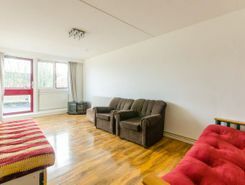 People looking for property in Tottenham in Greater London will find a wide selection of houses, flats, apartments, bungalows and maisonettes for sale on TheHouseShop.com. TheHouseShop combines both private and professional listings so you can find unique Tottenham in Greater London properties that won't appear on other agent-only property websites like Rightmove and Zoopla. Make sure you visit TheHouseShop during your property search and don't forget to set up a free property alert to find thousands of unique new homes updated daily. There are a large number of estate agents in Tottenham in Greater London and sellers can use TheHouseShop to compare Tottenham in Greater London estate agents and find the perfect fit for their property. Each day thousands of buyers visit TheHouseShop looking for property for sale and in Tottenham in Greater London and the surrounding areas. 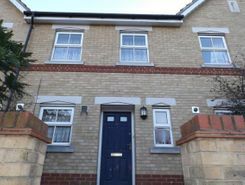 Disabled home hunters can use TheHouseShop.com to search for wheelchair accessible and adapted homes for sale in Tottenham in Greater London and the surrounding areas. Some of the best New Homes developers in Tottenham in Greater London use TheHouseShop to promote their accessible listings as well as their new homes for sale. TheHouseShop showcases a variety of cheap property for sale to thousands of buyers who visit the site everyday. Buyers can find cheap houses and new build properties available through Shared Ownership schemes in Tottenham in Greater London. Buyers can use TheHouseShop's online valuation tool to get a free property valuation for any home in Tottenham in Greater London and make sure they don't pay over the odds. Your one stop shop for all things property - TheHouseShop is here to help everyone buying, selling, renting and letting property in Tottenham in Greater London.